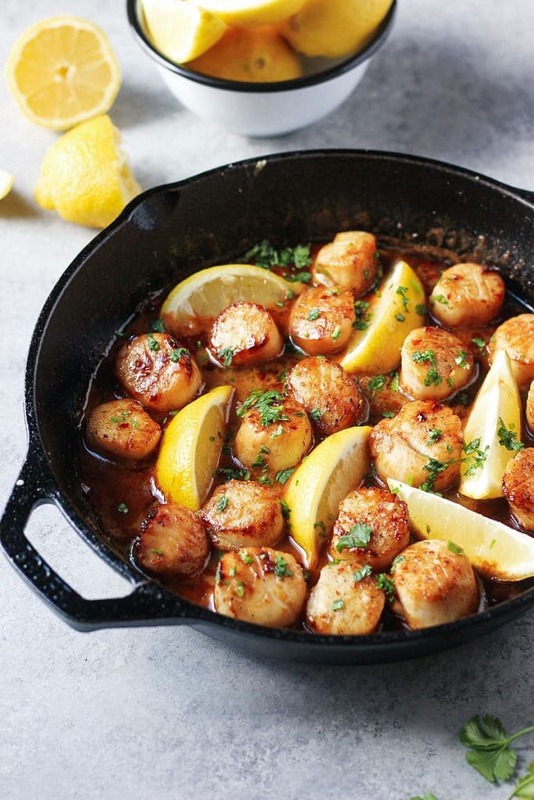 Pan Seared Scallops in a deliciously tangy lemon butter sauce. 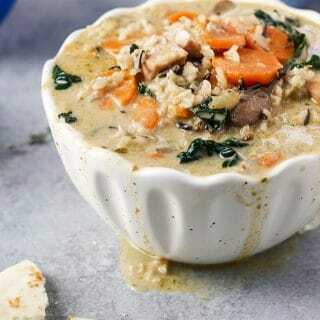 This recipe is done quickly, it’s flavorful and perfect for dinner with friends! I got three works for you; PAN SEARED SCALLOPS! 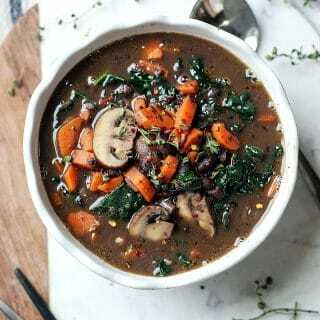 The food you MUST try (if you haven’t) or seriously consider adding to your menu on a rotation basis! And I mean to be pushy this time… I, for once, used to feel completely intimidated by cooking scallops and would only eat it at a restaurant, but that’s total non-sense because making scallops at home is easy and rather quick! 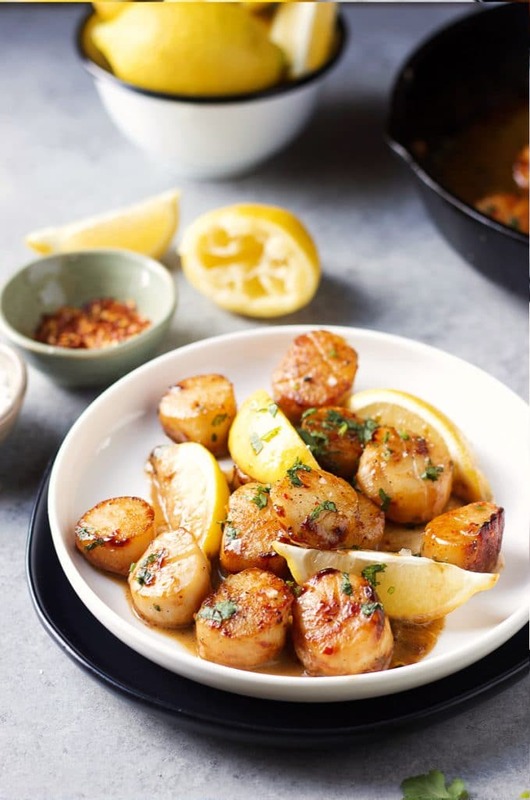 Take this Lemon Butter Pan Seared Scallops recipe for example; it required no prep and it only takes 10-12 minutes from start to finish! 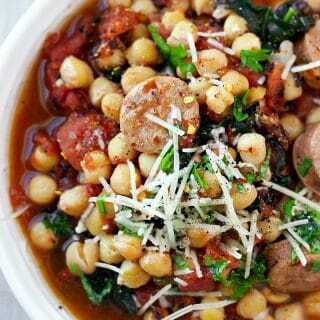 However, because scallops aren’t usually an ordinary choice of protein, I like to make this recipe as a special dinner whenever I have family or friends over. Not only they appreciate the specialty meal served and I am not stuck in the kitchen cooking the whole time. It’s a win win! 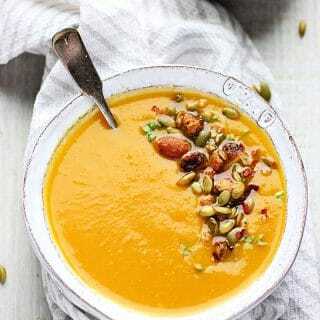 If you follow me on Instagram you have probably seen a few food fact posts where I dive in to the fun and unknown facts about that particular food. Yep, I can be geeky like that… lol 🙂 No worries, I won’t do that to you here but there are a couple things I would like to share about scallops. First and foremost, most of the scallops in the US comes from the East Coast. As a resident of MA, I am proud to say that New Bedford, MA is one of the top three scallops port in the US, followed by New Jersey and Virginia. When buying scallops make sure the meat is pure white and its shape is intact, and if the little muscle is still attached you can remove it by pinching and pulling it away from the ‘body’. Now, because scallops are low in fat and are 80% protein, no wonder why they are a great option of healthy protein! Pan seared scallops are easy breezy, much like frying an egg. I almost always use my cast iron skillet for this job because it distributes heat perfectly and gives me that consistent golden layer that is so appealing. Simply heat some oil or butter and add in scallops in a single layer, season with a pinch of Maldon sea salt flakes and black pepper, pan sear for 2-3 minutes, flip to the other side and do it again. 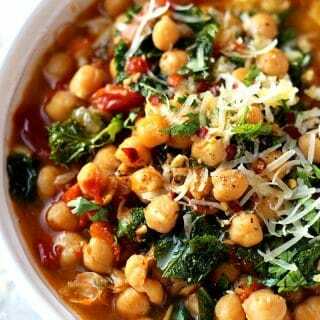 Finish with a touch of lemon and you are good to go! But of course I had to take the Pan Seared Scallops to the next level by adding a tasty lemon butter sauce, break down the acidity just a little bit with some cream and top with all the cilantro you can handle! 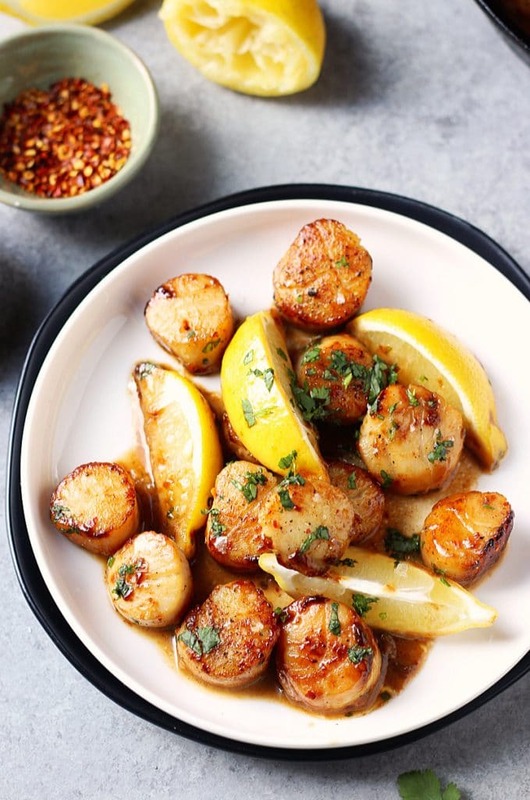 If you make this Lemon Butter Pan Seared Scallops recipe, be sure to leave a comment and/or give this recipe a rating! 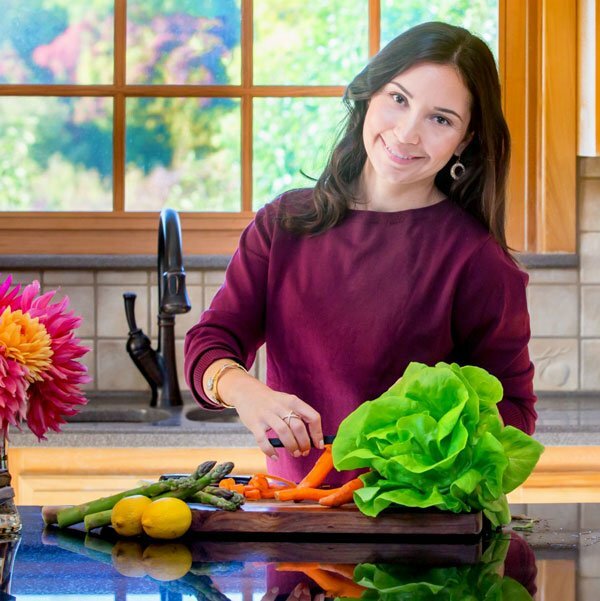 I love to hear from you and always do my best to respond to all your comments. Also, don’t forget to tag me on Instagram for a special shutout and/or a chance of being featured in my newsletter! 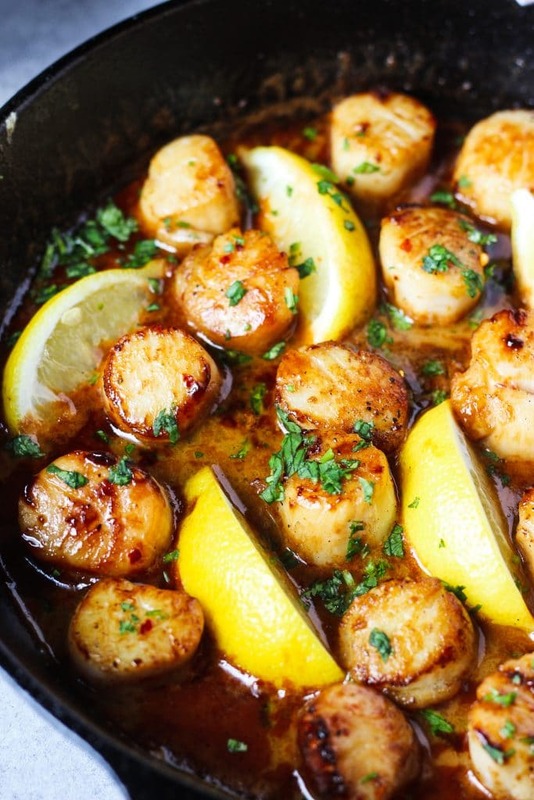 Pan Seared Scallops in a delicious lemon butter sauce! 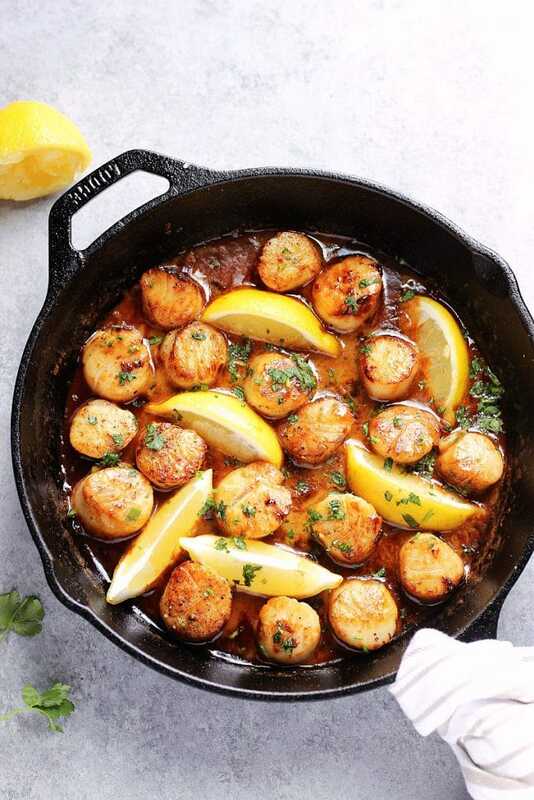 Place scallops in cast iron side by side, not on top of each other. If you need to, pan sear them in batches. Cook the scallops for about 2-3 minutes on each side or until the scallops have developed a golden layer to your preference. Season with salt, pepper and red pepper flakes. Transfer scallops to a plate. Turn head down to medium low. 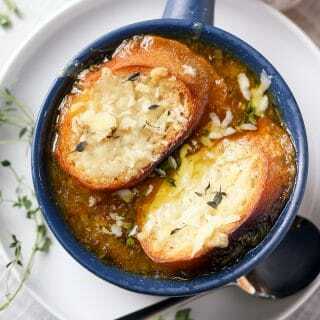 Add butter and garlic to the pan, cook until fragrant 1-2 minutes. Add cream and juice from one lemon and stir scraping the bottom of the pan. 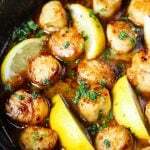 Add scallops back to the pan, quartered lemons and top with fresh cilantro.